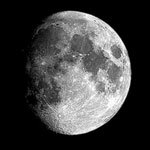 The phases of the moon or lunar phases refer to the changing appearance of the moon as it orbits the Earth. When viewed from Earth we see this regular cycle as the moon grows from a thin crescent to the fully illuminated disk of the full moon. 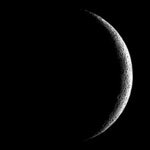 From here it shrinks back to a crescent again before becoming a crescent again and then vanishing, waiting to be reborn during the next lunar cycle. 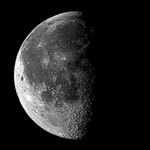 These moon phases are caused by the relative alignment of the sun, moon and Earth. 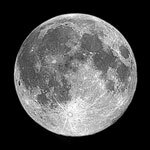 What makes the moon apparently shine in the night sky is that it is lit up by the rays of the sun. 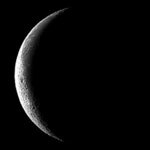 When the moon is positioned on the same side of the Earth as the Sun we cannot see the illuminated side and is hence a new moon. 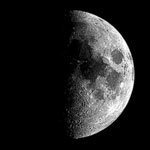 At the opposite stage of the moon's orbit when the Earth lies between the Sun and the moon we can see the entirety of the moon's illuminated surface, i.e. a full moon. It is worth pointing out that the Earth does not usually sit directly between the Sun and moon. In fact there is usually a small offset. However when the Earth does lie between the two a shadow is cast onto the surface of the moon which creates a lunar eclipse. 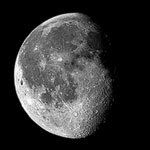 This whole process takes as long as it takes for the moon to orbit the Earth - around 29 and a half days, which is just short of a month. 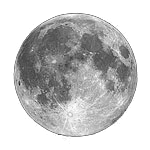 What this means is that the same phase of the lunar cycle occurs around a day earlier as each month passes.